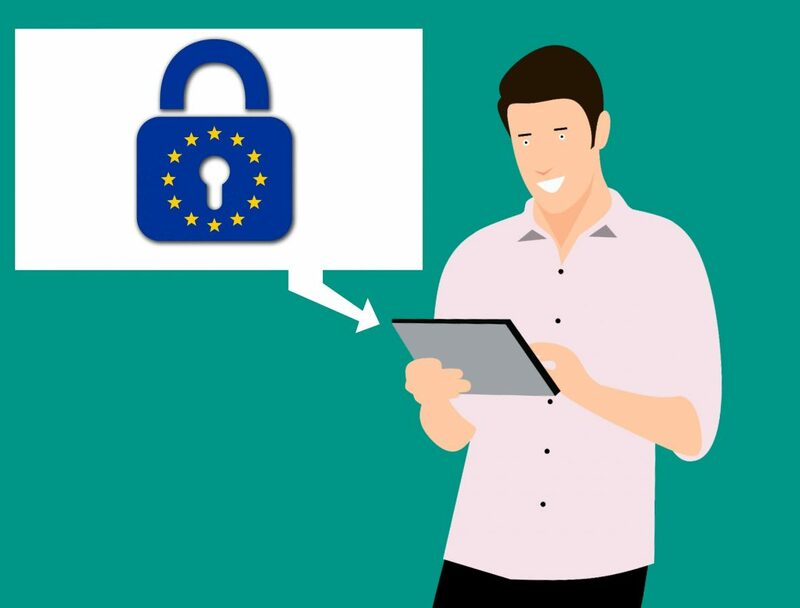 Many Marketers and business owners do not particularly like the changes which the implementation of the GDPR brought along. But there are also positive sites to it, which we should definitely not forget to talk about. What are the main pains? In the past weeks, especially during the last five days leading up to May 25th many of us received a flood of emails, asking us to opt in and remain on the respective newsletter list. And that was the main challenge: The necessity to send out an email asking for consent from every subscriber on your email list unless you had asked for consent beforehand. Additionally, you must have a record of this written/recorded consent. And everybody who did not give you consent, who did not specifically opt-in again for your newsletter, needed to be removed from your list and may not be contacted nor the data stored from your end. Many of us, lost a lot of – with hard work over the years acquired – email contacts through this process which was possibly the most frustrating experience so far. The next pain points are required website updates with regards to consent for precise marketing efforts envisioned in the future. It is not allowed anymore to offer somebody a download of a freebie in exchange for the email address and to then add this email address to the newsletter list without specifically having asked for the consent of this subscriber. If you still keep doing this, you may get surprised by hefty fines. 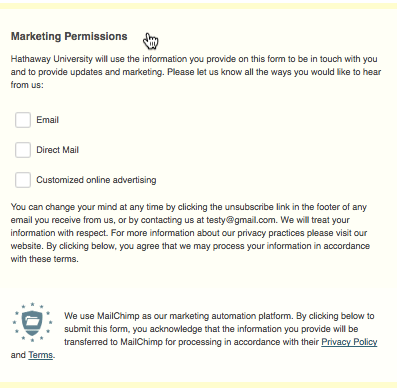 You can not require an email subscriber to give their consent for email marketing as a condition for getting your freebie. Therefore, it is important to get specific consent from a subscriber before adding him or her to your general email newsletter. While in the past many of us would often have a pre-ticked checkbox for the newsletter sign-up on our contact form or even just carry them over automatically to the general newsletter list, we must re-evaluate that procedure as this goes against the new GDPR. The way to go now is to add a voluntary checkbox/drop-down menu on your opt-in page. Another challenge is the fact that all business owners must take care of their website including the theme and plug-ins being up to date and GDPR compliant. That includes checking if the SSL certificate is in place, where and how data is processed, stored and how long it is kept. Furthermore people have the right to request any information your business may hold on them and even can request full deletion of such in a prompt manner. What are the main gains? A big gain is the quality of leads you hold in your hands from your previous list. These subscribers will be surely engaged and interested in your brand and offering, the blog posts you publish or podcasts you release. Ultimately, they are easier to convert into customers or clients at the end – so just focus on the opportunity in front of you. And let’s be honest some email hygiene from time to time does not hurt anyways. Your customer acquisition costs will say thank for focusing on potential leads not wasting your budget on cold contacts and outdated mailing list, feeding your email service provider good money. Furthermore you can also count on good quality leads you will be gaining from now on since you make it crystal clear, what a newsletter sign up on your website offers to the subscriber who actively opt’s in. Another gain is that no-doubt you get your website up to the highest standards of security and data protection. You need your website to be up to date in any case, if you want to assure a safe web experience for your online visitors and avoid unfavourable PR about hacks or stolen sensitive user-data. GDPR did not just hit us in surprise – it was released 2 years ago and came into enforcement now. Anybody who is doing business with EU clients or is located in the EEA has to delve into this and it only drives us to be more precise, target better, focus on warm leads and be productive rather than broad. It tickles our entrepreneurial spirit to come up with new exciting ways to marketing potential audiences effectively within a given budget. Sounds exciting? That’s what we think. Dry the tears, countless untapped digital marketing opportunities have never even been touched by most of the crestfallen businesses across the Europe ! If you require any further assistance on GDPR or like to discuss some digital marketing ideas, simply get in touch with us TODAY.